Yes, yes. i love cornbread. What can I say? It is a weekness of mine. 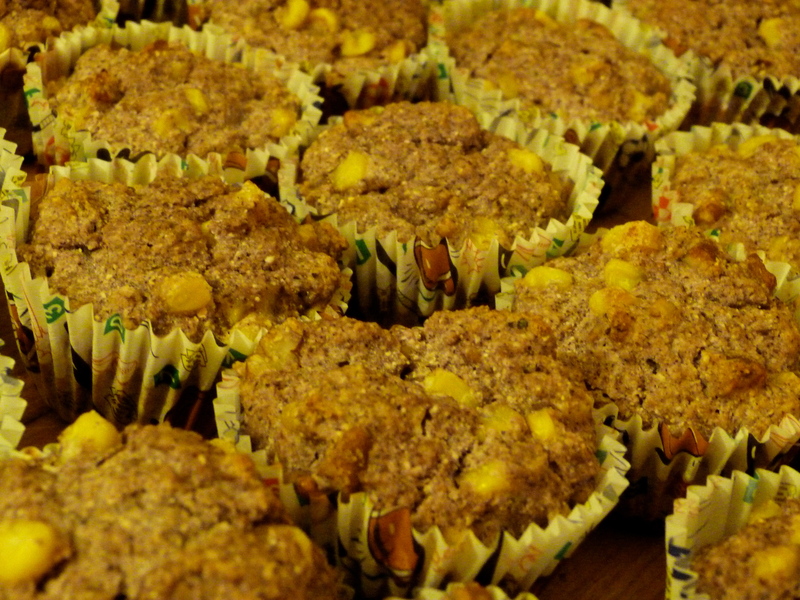 Thank G-d I found an amazing recipe for “health starts here” friendly cornbread muffins! They are delicious, and my roommates, who are sometimes hesitant of trying some of the healthy foods I make, LOVED them. I added bing cherries and used blue cornmeal instead of yellow, because I like the color contrast. Plus, blue corn contains more anti-oxidants than yellow. Enjoy this recipe, and let me know if you have any feedback! ← 4 levels of health…on which level are you living?